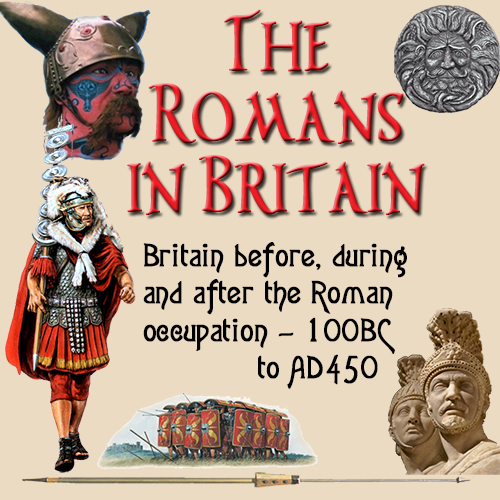 The Romans in Britain website is a private entity intended as a resource for anyone who is interested in British-Roman (and just plain Roman) history from 100BC to AD400. This site is financed from the (very little) funds we get from advertising and the odd book (very odd) from Amazon.com—no, it doesn't pay very well — as google keeps changing their algorithm and we, like the rest of the world, try to figure out how they have mucked it all up. 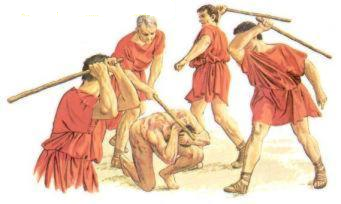 The Roman museums, sites and internet sites listed here have not paid for their inclusion in this site. They are listed completely free of charge. It would be better if we had a UK correspondant to help get these updated and keep them that way... maybe another database like we are trying for the recipes. By visiting this website, you are exonerating the authors, owners and hosting company of any responsibilities for the consequences of your visit to this site.